Yesterday I took a plane and some trains to Jena, Germany. 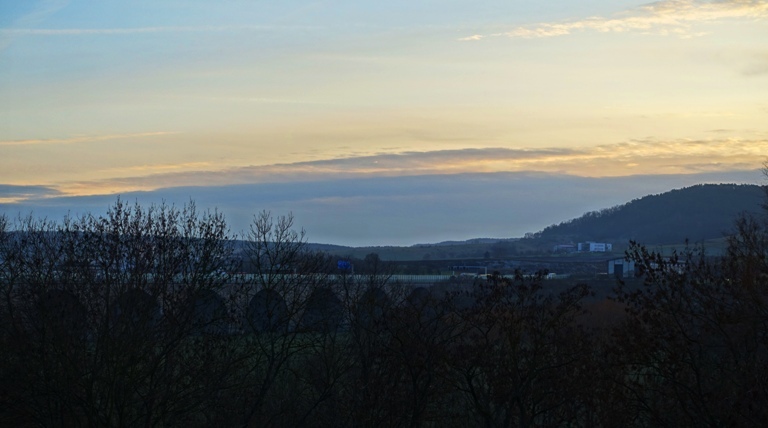 Traveling to Germany is almost always a combination of the two as our offices are not close to the major airports. However, there are good train connections to both of the areas that I normally visit. Here is the United 777 that I was getting ready to board. After my Stress at the Airport, it was good to finally get aboard and get settled in. Thankfully I had an empty seat by me on the long flight. After a 90 minute delay because of the weather we were finally on the way. I then watched a couple movies and got a bit of rest. After landing in Frankfurt I had to first take a train to the central station. Usually I can take a direct train to Erfurt, but I missed it by about 15 minutes. Here you can see part of the train yard in Frankfurt with some of the different types of trains. 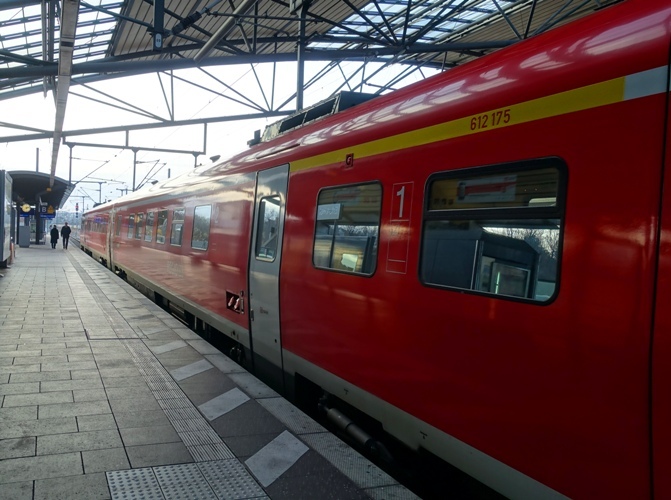 I took an ICE train to Erfurt and then had to switch to a smaller regional train for the rest of my journey. I was not sitting where I could see the speed indicator, but once when I got up I noticed that we were traveling at 160 kilometers per hour. The trains are definitely a good alternative to driving in Germany, especially after a long flight. Here is the smaller regional train. They don’t move as fast, but still at a good rate of speed. I have been coming to Germany for about 20 years now and it has been interesting to see how the local trains have changed. They are much nicer now than they were 20 years ago. The train on to Jena from Erfurt only takes about a half hour, and then it was time for one more train. I had a short walk to the street train which took me up the hill to the hotel. I made it to the hotel in time to see a nice sunset from my hotel room. It was then time to listen in on a conference call before watching the funeral of President George H. W. Bush. Now I am up early and am able to get this written before having breakfast and taking a walk to the office. 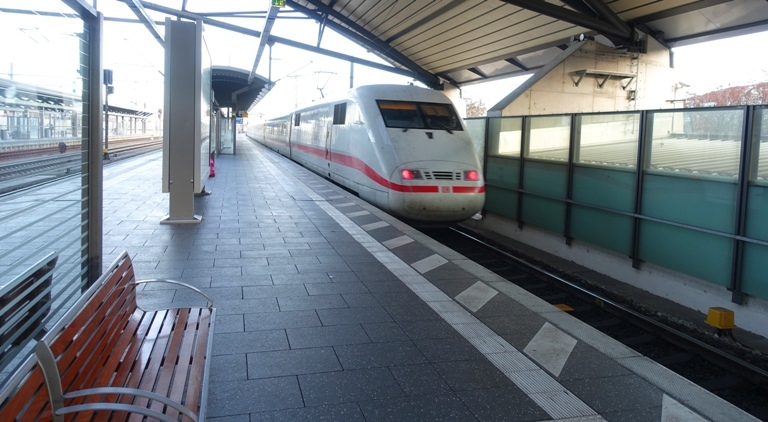 This entry was posted in Germany, transportation, Travel and tagged German Trains, ICE, Jena, Planes, SFO, sunset, trains, United Airlines. Bookmark the permalink.